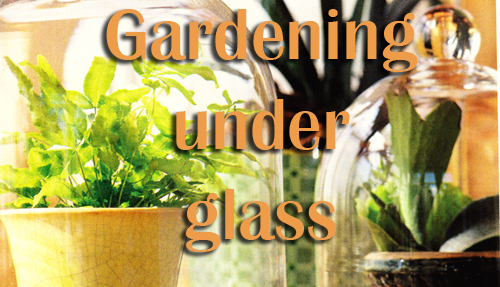 This time of year, when you are thinking of cleaning up the garden, putting away the planters and getting ready for winter, we suggest you think about gardening indoors under glass. 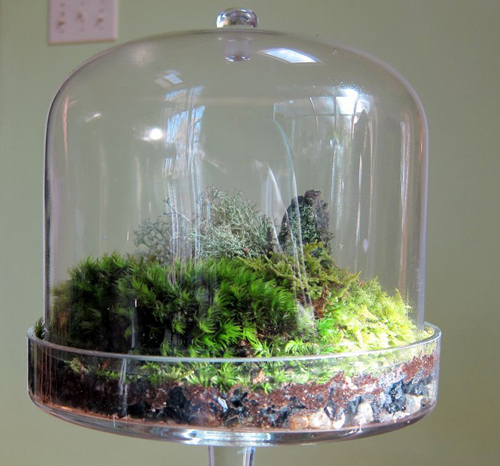 A few years ago terrariums were a very popular way of keeping lovely plants indoors during the winter months. It is a simple of experimenting with unusual plants, keeping your green thumb busy and bring life and color indoors for the stark days ahead. 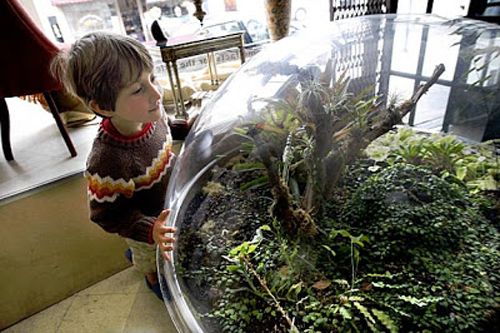 The word terrarium refers more to the state of the plants a case contains than to the case itself. You can use many different kinds of glass containers. A fish bowl or old fish tank are great. 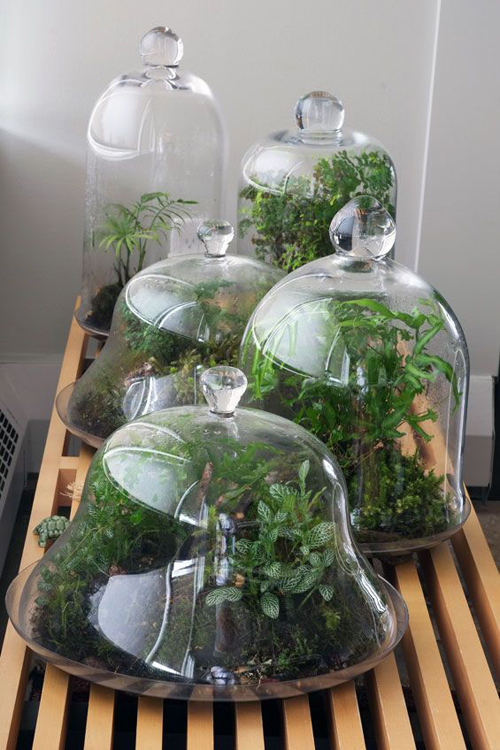 Anything that you can make a miniature greenhouse out of. You want to select something that allows you easy access to the plants and still allows air to circulate. Below we will list a few tips to consider when trying this project. Fill the bottom of the container with pea gravel, garden mulch and potting soil. You can plant directly into the soil or set potted plants directly on the gravel in a decorative arrangement. Select plants that crave high humidity and warmth since this environment is perfect for that. Ferns, herbs, African violets, and orchids will all work wonderfully. Finish off with decorative items like miniature statues, decorative rocks, figurines and drift wood. 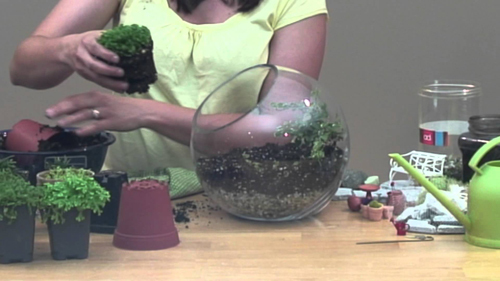 Try to create a mini garden in a jar. The most important thing is to have fun and enjoy the process.